Today I’m working on two projects while I wait for Jeff to get back from basketball so we can finish painting the attic. One is for the dining room and one for the entry. Let’s talk dining room. For a while I’ve had this idea of using the elegance and detail of more Victorian, Art Deco & Edwardian vintage pieces mixed with the clean lines and bold colors of mid century design. I wasn’t quite sure what that would look like so I researched similar design schemes and came up with nothing. Unable to completely visualize the end result and pick a focus, my dining room felt cluttered without a purpose. When I run into this issue I like to search for inspiration picking one element to focus on at a time. 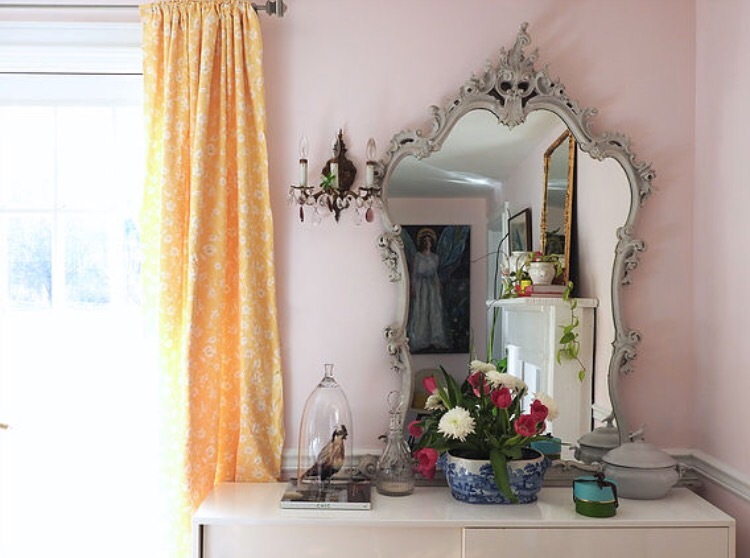 Somewhere down the rabbit hole of Pinterest & Instagram, I decided I had to have pale pink walls and even more shocking I convinced my husband it was a fabulous idea (he’s since forgotten but thankfully I have not)! 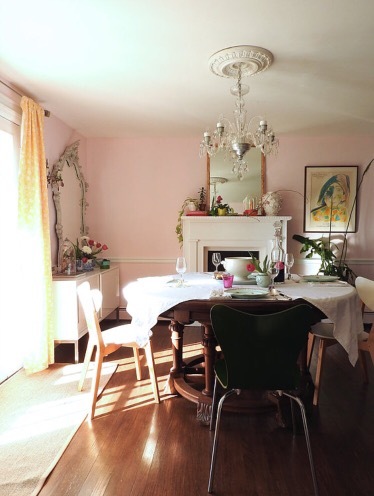 While searching pink rooms I stumbled on a dining room with a kindred spirit. This dining room from Keogh Habermann helped solidify my ideas and create a starting point. Once I saw how they executed a similar design all the pieces started to fall into place. Sometimes the vision does fully materialize right away and it’s more of a journey to realize what it is that you really want. I love the formal elegance of the vintage pieces and the casual feel the MCM pieces introduce to the space. 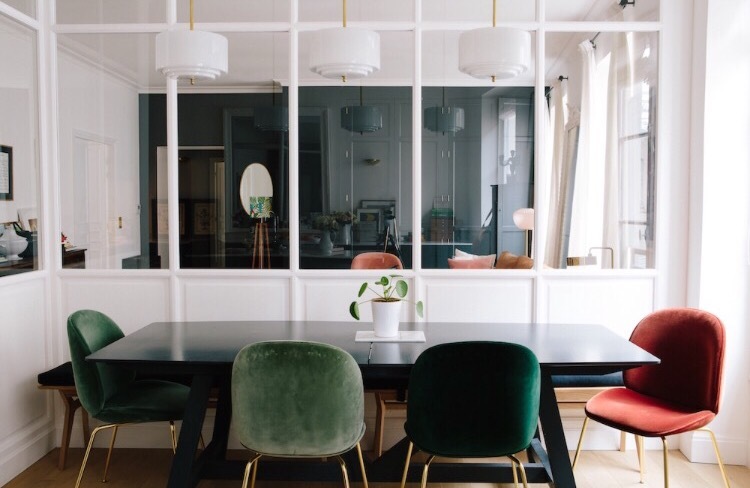 I want my dining room to be a bit more cohesive since I want to swing more formal than casual. To achieve this I’m swapping out my mix matched school chairs & MCM head chairs to one matching set of 6. I’ve been carefully curating each piece I bring in as I sell the old pieces to loving homes and today I’m working on refinishing this set of 6 mid century chairs. I found them on Craigslist along with another set of 4 from the same seller. Major score that they were from the same person because then I had an opportunity to negotiate! $175 and two trips later I had ALL THE CHAIRS. 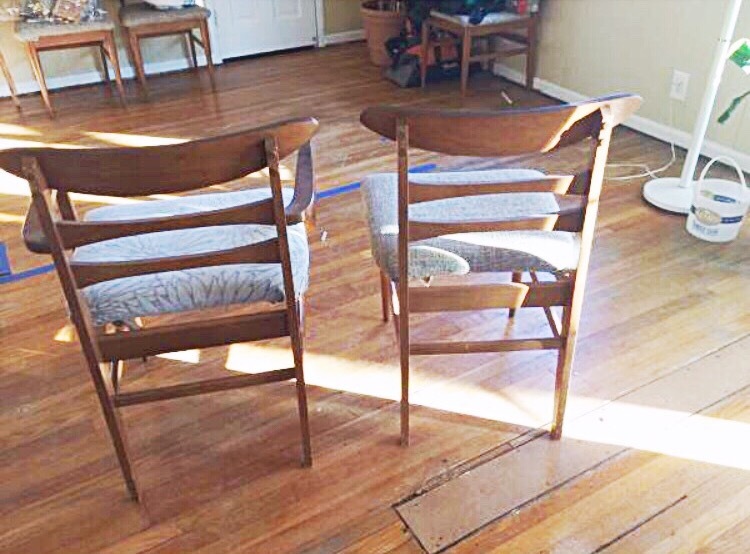 At the moment my dining room is filled with 16 chairs (crying while laughing emoji). The seats are strange since they are quite wide for the frame and once I had all the layers of fabric off I could see that the wood base does not properly match the frame causing it to overhang along the edges. I want it to look more streamlined than sqwaty and wide so instead of taking off all the upholstery on the existing seats I decided I’m going to start fresh making new seats. 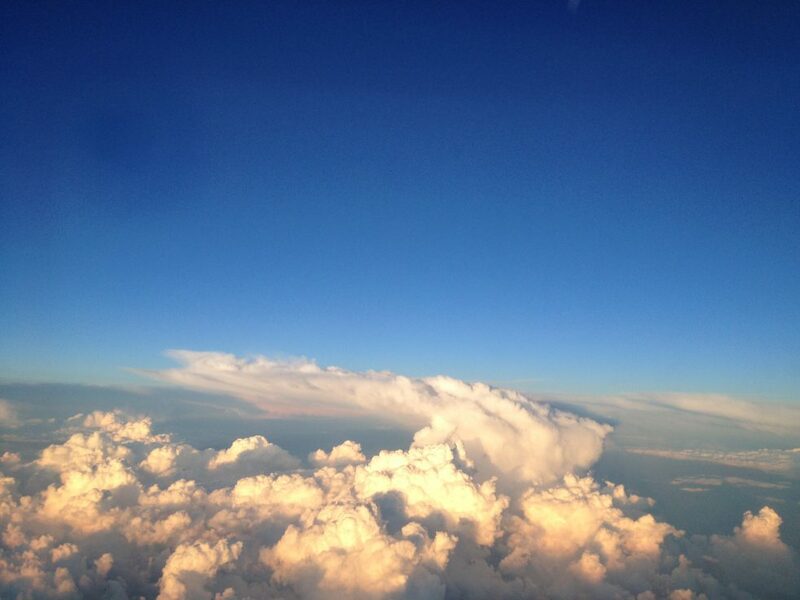 Here’s an inspiration picture of the fabric, moody velvet in dusty hues. Now I need to pick a color, decisions decisions! 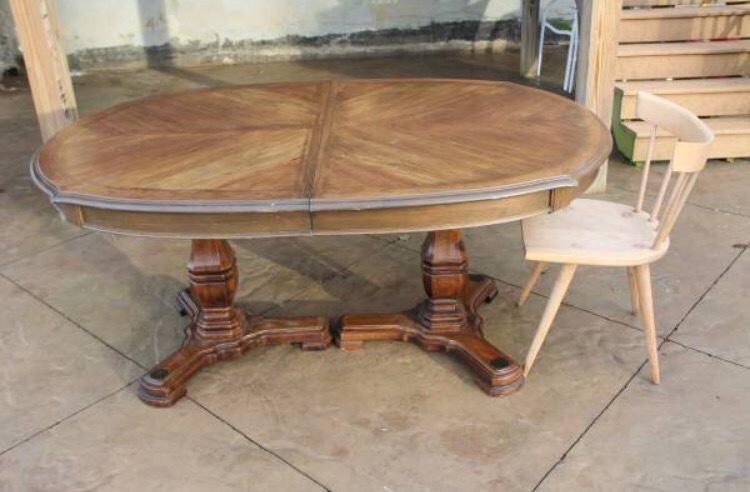 I’m also picking up a table today that should round out the space quite well! Ok back to work, look out for a progress report to come!